Have a Pool? Keep It Safe | Phoenix Personal Injury Law Blog - Breyer Law Offices, P.C. It’s summer, and that means it’s time for kids and adults alike to spend as much time as they can splashing, laughing, and playing in the pool. But while pools are a great way to cool down in the searing Arizona heat, they can also present a number of dangers. The biggest risk, of course, is drowning. Drowning in a pool is one of the most tragic accidents that can happen, and it’s one that pool owners could be held liable for in case an accident happens. Below are some tips to keep you, and those around you, safe throughout the summer. Installing a fence is the #1 safety tip for any pool. In Arizona, the fence must stand at least five feet tall, and it should surround the pool on all four sides. The fence should be sturdy without any protrusions or openings that a small child could climb through. Pool fences should also have a gate that opens out and away from the pool. The gate should be self-closing, so there is no fear of someone leaving the gate open; and it should have an automatic latch that is out of the reach of small children. The importance of a proper fence and gate cannot be stated enough—they’re the best way homeowners can keep children safe. When a fence and proper gate are not installed, a homeowner could be held liable for any pool accidents that occur, even if a small child was there without permission. Oftentimes, homeowners will use their own house as one of the sides of the fence. This ensure no one will be able to get through on that side without first going through the house. Having a house on one side is considered an acceptable practice by law, but for added safety, alarms should be installed on the door to the home and any pet doors that are used. This will alert adults when someone has gone outside. In Arizona, Safety Systems also need to accompany any pool. These include a shepherd’s hook (the long rod with a hook on the end that can reach swimmers), life jackets, and floatation devices. These should be within 20 feet of the pool. Other than keeping safety equipment nearby, it’s also important to regularly check and maintain the pool drains. These have an enormous amount of suction and can pull a swimmer down by her hair or clothing. 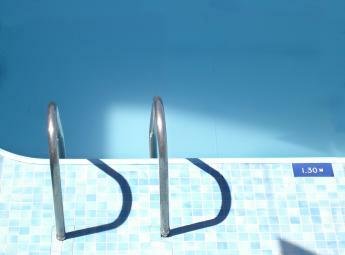 Pool drains are one of the main causes of drowning. Keeping them in good condition, and always checking the pool first when a child cannot be found, can help prevent these tragic accidents. Lastly, anyone entering the water should have had formal swim lessons. Children who are able to swim can better protect themselves in the water. Swim lessons also provide additional safety information and help a child know what to do in cases of emergency. The most important reason to review summer pool safety practices is, of course, to prevent drownings. If your family has been in this worst-case scenario, call a Phoenix premises liability lawyer at The Husband and Wife Law Team at Breyer Law Offices, P.C., at (602) 267-1280. We strive to keep all Arizonans safe and will fight to protect the rights of your family if tragedy should ever strike.